I removed a wooden deck and created a series of planters with stone walls and a flagstone terrace. I used a variety of shrubbery and perennials to soften the space. 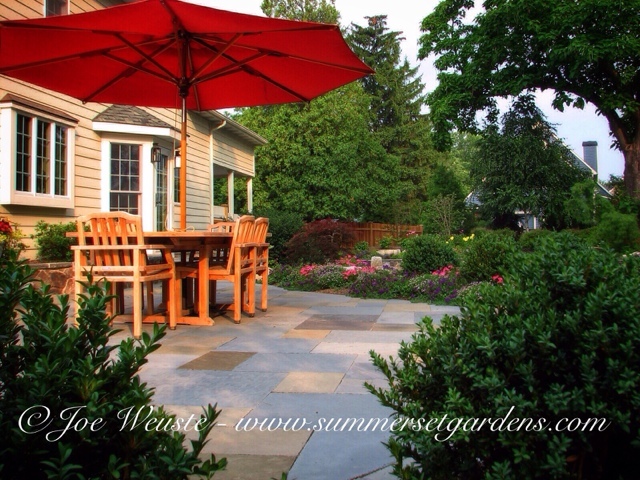 Landscape design, masonry and construction services in the NJ and NY areas.